Americans bought 524,000 midsize pickups last year — about 1,400 a day — but not one of them had removable doors. 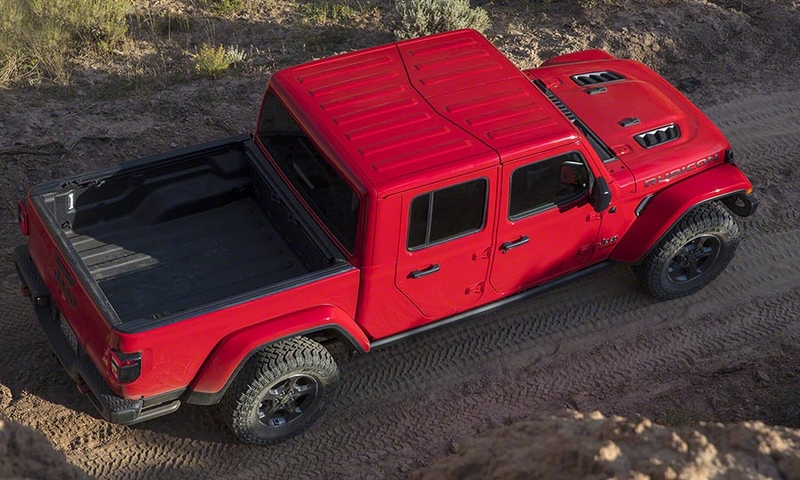 In a few weeks, that small but noteworthy gap in the market will be filled by the Jeep Gladiator, an all-new rig that represents Fiat Chrysler's initial bid to buccaneer its way back into one of the industry's hottest segments. The long awaited Gladiator is drastically different from rival trucks — and it's not just the doors. To further motor en plein air, the windshield folds down and the hardtop comes off. The tailgate can be locked at a half-lowered position to better support a stack of plywood. And the manual transmission is standard — which these days is about as on-trend as an eight-track stereo. "There's nothing like it out there," TrueCar analyst Eric Lyman said. "A lot of people are going to look at it and say, 'Wow, that's the coolest truck I've ever seen.'" It's as if Jeep designers snuck a bunch of left-field ideas onto the assembly line, the kind of concepts that today's milquetoast auto industry filters out by rote. Cost-saving synergies from consolidation, regulation and general loss-aversion have led to fewer risks, and thus a mean reversion in design and capabilities. That's why those of us not in pickup trucks are increasingly driving small, round utilities powered by four-cylinders—sexified turtles, as my colleague Hannah Elliott calls them. The Gladiator is decidedly not that. It's an aesthetic antidote for the homogenous parking lot, and arguably a strategic one, too. "A lot of these trucks are interchangeable — not necessarily different other than the sheet metal," explained Jeep marketing head Scott Tallon. "We sweat the details on how to package and deliver something that's different and unique. Those little nuances I think are really what's going to set it apart." Jeep isn't taking orders yet, but it is taking names and e-mails from prospective customers. So far, that list of hand raisers is longer than any for a Jeep in recent memory, the company said. Idiosyncrasies aside, the Gladiator checks the standard truck boxes, too. Its standard V-6 is good for 285 hp and tows up to 7,650 pounds. It's full of gear ties and a bunch of bins in the cockpit that lock, in case one wants to leave the doors off while at dinner. The bed is sturdy enough to hold 1,600 pounds, roughly the equivalent of a cow, seven dirt bikes or 20 Labrador retrievers. These are the specs Jeep will need if it wants to find favor with truck buyers. Specifically, the Gladiator will be trying to steal market share from Toyota's Tacoma, which has dominated the midsize pickup game for decades. Toyota attributes its success to safety, reliability and persistence. "To be honest, we've never been able to meet demand," said Tacoma marketing head Don Johnson. "We have a lot of faith in our product, our consumers and our heritage." Johnson doesn't seem worried. He said he expects the Gladiator to win fewer than 50,000 buyers a year, a niche market full of consumers who might have otherwise bought a different Jeep. Fiat Chrysler does expect up to 15 percent of people planning to buy the Jeep Wrangler SUV to opt instead for the Gladiator, which is made in the same plant and has essentially the same layout and interior. But some Gladiator buyers will be Jeep owners who would have otherwise strayed entirely. Strategic Vision, an auto consultancy, said that right now roughly 10 percent of Jeep owners trade in their rig for a pickup truck every year. 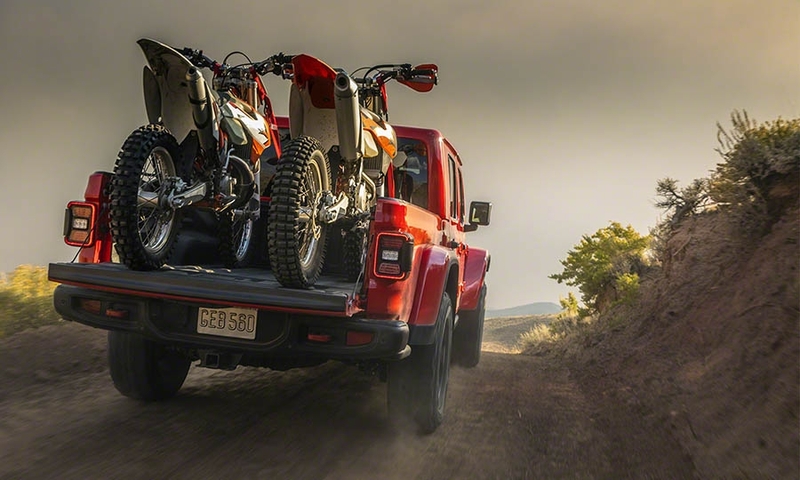 "It's better to have them in our segment, than going to a Tacoma or [Ford] Ranger," said Bill Golling, president of Golling Chrysler-Dodge-Jeep-Ram in Bloomfield Hills, Mich.
For those already in love with a Jeep, it's hard to overstate their ardor. Here's Harwood Loomis, a semiretired architect in Connecticut: "Die-hard Jeep people like Jeeps because they are unique and better at off-road performance than anything else." Loomis has nine vintage paragons of the marque ("some of which actually run," he said), but a particularly soft spot for the Jeep Comanche, a pickup made in the mid-1980s that could carry more than 2,200 pounds. "Nobody but Jeep had ever conceived of a vehicle like this," he gushed. Truck makers are always yammering on about loyalty. The folks who buy tough-guy rigs like the Ford's F-150 tend not to stray when it comes time for a new ride, a level of product stickiness typically reserved for smartphones. But the small truck space is more capricious. Folks shopping for something that looks like a Gladiator are more likely to switch things up than those keen on other genres of the auto market, according to Cox Automotive. And Strategic Vision said those who already drive a pickup are more Jeep-curious than owners of any other type of vehicle. All of which bodes well for the Gladiator. TrueCar's Lyman expects Gladiator to take a large number of customers away from truck brands. There's a big but largely silent group of people who deeply want a truck, but could never justify the expense. They've been waiting for the Gladiator. "It's functionality for fun's sake and that's going to appeal to a certain buyer," Lyman said. "It doesn't come with some of the baggage of a full-size pickup truck." 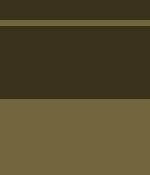 Can this rig conquest? We'll soon see, but we gather they named it Gladiator for a reason. Last edited by Jimmyb; 3 Weeks Ago at 03:33 PM. All times are GMT +10. The time now is 12:08 PM.